"Slackware enable me manually manage my system package." STABILITY - For every new release ,Slackware has been able to include the stable versions of all included software programs. This ensures that save for the mandatory security and bug fixes, users get to compile and install the latest versions of their preferred software themselves. SIMPLICITY - Slackware is amongst the now very few Linux distributions still offering users a simple , configurable system . I love how I am able to edit plain text configuration files on my Slack. PRIVACY - We are in the era of cloud integrations. However , Slackware does not offer cloud integration ,ensuring I am not sharing my personal data with software firms. Slackware does not currently provide me with automatic dependency resolution and this will probably be the case for some time to come.Also in order for me to install add-on software with Slackware , I have to search and install additional dependencies by myself ,manually. I endorse Slackware for server based functions. Basically I see Slackware as secure ,rock-solid and simple and these are properties I appreciate from a server installation. I currently make use of Slackware on my workstation at my office ; operating a LAMP stack for development and system administration purposes. I never experience downtime and for the few occasions I encountered any downtime ; it was due to power cut. 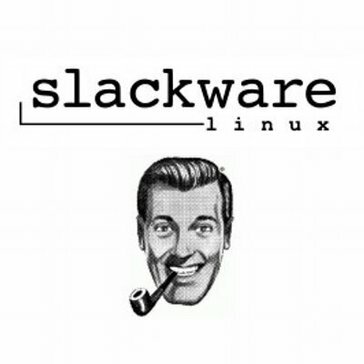 Slackware is an ancient distribution for Linux. I haven't used it lately, so have no credibility on how it lives today. Difficulty of keeping the OS plus all installed software current with each others' versions. Try a more modern Linux distribution. I use Ubuntu. Haven't looked much into alternatives, lately, since I have a very stable machine. Up 4 days without need of reboot. That is new, for me, and I feel - important. All problems, business and otherwise, that a great OS is capable of solving. I got to know Linux/UNIX and other free UNIX-like-OS based software. "Great distrobution, love JR "Bob" Dobbs"
Simplicity, good user community, lots of platforms supported. Can be difficult to use, some packages harder to install than others. Give it a shot - can be more intimidating than other distro's like Debian but worth the extra work. We used it as a lightweight Windows replacement at a small non profit - we had donated hardware but it was older and didn't want to spend money on legit Windows software that would have run slowly anyway. Linux Mint produces a modern, elegant and comfortable operating system which is both powerful and easy to use. * We monitor all Slackware reviews to prevent fraudulent reviews and keep review quality high. We do not post reviews by company employees or direct competitors. Validated reviews require the user to submit a screenshot of the product containing their user ID, in order to verify a user is an actual user of the product. Hi there! Are you looking to implement a solution like Slackware?